Get started making money TODAY with zero down? You owe it to yourself to take a look at this. 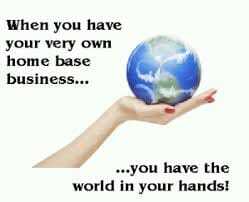 My name is Mikki Meisner and I have been in the Kangen Water business for over 7 years now. It has truly changed my health, income, my life, even my zip code, and I would like to share this opportunity with you. This is a recession proof business, and will succeed regardless of economy, works for everyone, is affordable, and is a rock solid company…oh, and it is a product that EVERYONE NEEDS. Because the product is so multi-purpose, there are endless marketing angles and possibilities and the market is barely tapped into. This is a Life Altering Device that has been made available for home use, and as a business opportunity. It has a proven track record, helps people’s health, environment and finances, all while allowing you to spend time with your family and earn a very lucrative income from home. It has been used in Japanese hospitals for over 40 years to reverse and prevent degenerative diseases and given the health of today’s society, combined with the growing need of home based income opportunities, this is an amazing business with perfect timing to get YOU where you want to be. 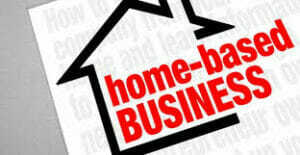 With a Kangen Water business, you can realize financial freedom from the comfort of your own home. No more commute. No more office politics. No boss telling you when you can take a vacation. Whether you are looking for an opportunity to supplement your income, or a real business opportunity to make your dreams come true, The Kangen Water business is one you should seriously consider. A very small investment and NO MONEY DOWN buys you a million dollar business potential. There is no cap on how much you can make. Nothing else to buy, no qualifications, no hidden fees, just an incredible life altering technology that is soon to be as widely used as the cell phone. If you like the thought of representing an incredibly diverse product that sells itself, is one of a kind, the top rated in its industry, GETS RESULTS, and helps people in a very real way, call me. If you like the sound of an international business where you can travel abroad, or even if you would rather stay close to home. Call me. You can choose either or both. If you don’t love what you do, want to make a positive change, and are ready to generate serious money, call me. If you like the thought of making the world a better place, and want a solid business you can put your name behind, this is it. Call today and let’s get started. The opportunity has never been more real.